The ruling in Chevron v. Natural Resources Defense Council dramatically changed how judges rule in favor of federal administrative agencies.  Previous research has found both theoretically and empirically that Chevron favors agencies and their interpretation of statutes, but the magnitude of Chevron’s impact remains unclear due to possible selection issues biasing the post-Chevron world. Accounting for the possibility that incentives change both to the challenger of an agency and the agency itself post-Chevron, I estimate a break in the trend of agency deference on the date Chevron was decided. This allows me to exploit the exogenous cases that were pending when Chevron was decided while still employing the full sample of rulings. 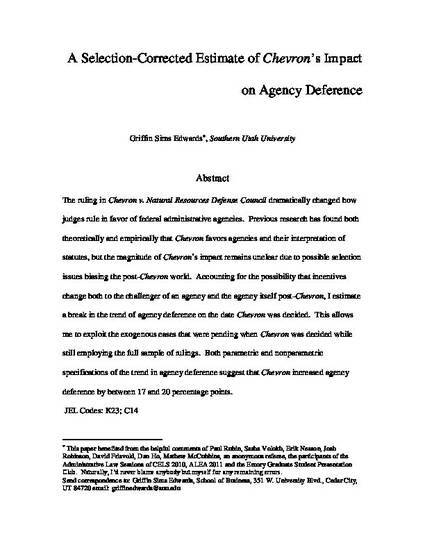 Both parametric and nonparametric specifications of the trend in agency deference suggest that Chevron increased agency deference by between 17 and 20 percentage points.